How about a glass of Tide? The tide seems to be turning. Tide, the producers of laundry detergent, abandoned those cute little pods when 8 people died after ingesting them — they looked too much like candy and in some cases sane people were dared into eating them. 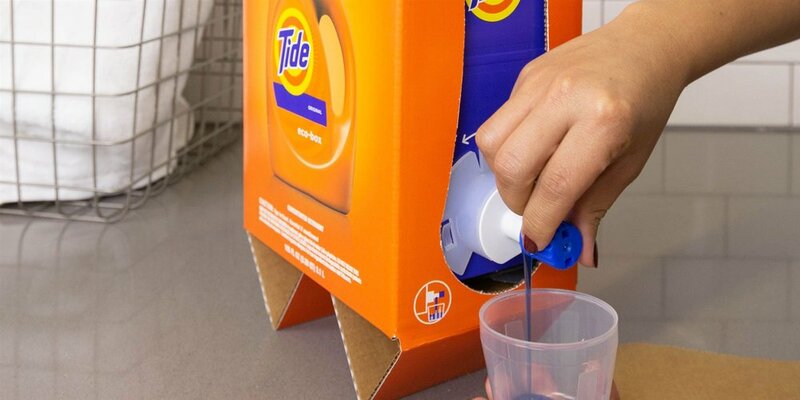 Now, Tide has developed an eco-friendly box with a handy spout that looks too much like boxed wine. Social media comments wonder if people won’t mistake the laundry detergent for their box of Franzia. First, you’ve got a bigger problem if your kids are confusing boxed wine with laundry detergent. Second, I don’t see how anyone with half a brain could confuse this box with wine. It’s orange and the label is a jug of Tide. If that doesn’t set you straight, the first pour of this thick, colored liquid should tell you it isn’t wine in your glass.